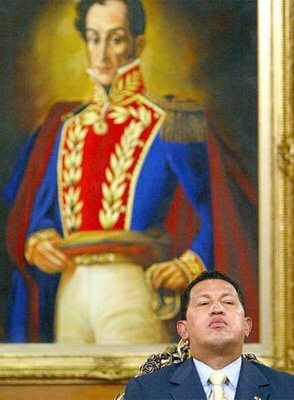 Simon Bolivar the patriotic idol of Venezuela and the cult of the president of Venezuela Hugo Chavez who claims to be a reincarnation of Bolivar. 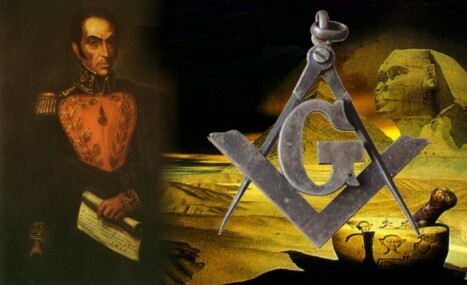 According to the historians Jules Mancini, the Marques de Villa Urrutia and Americo Carcinelli, Bolivar was initiated in 1803 in the Masonic Lodge “Lautaro” which operated in Cadiz, Spain. 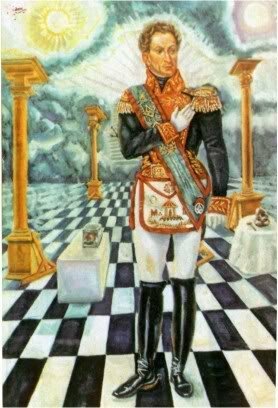 An account of this ceremony was duly recorded in a document which is now zealously guarded in the archives of the Supreme Council of the 33rd Degree of The Bolivarian Republic of Venezuela. The Bolivarian rebellion kisses the pope in his hand? Sweden called on Venezuela on Monday to explain how Swedish-made weapons sold to the South American country ended up in the hands of Colombian FARC guerillas. 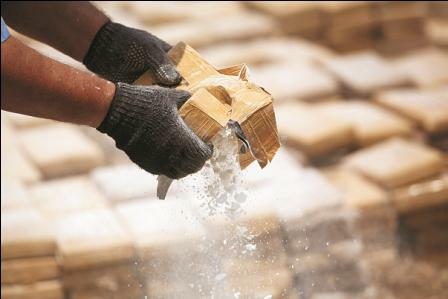 "We have asked the officials of the government of Venezuela to give us information on how they believe this material was found in Colombia,"
A number of anti-tank weapons had been seized from FARC rebels, adding that they had been purchased by Venezuela in Europe. FARC receives most of its funding—which has been estimated to average some $300 million per year—from taxation of the illegal drug trade, ransom kidnappings, bank robberies, and extortion of large landholders, multinational corporations, and agribusiness. The FARC financed Chávez before 1999! Venezuela’s President Hugo Chávez hugs Iván Márquez, a member of the FARC Secretariat, after a meeting at Miraflores presidential palace in 2007. 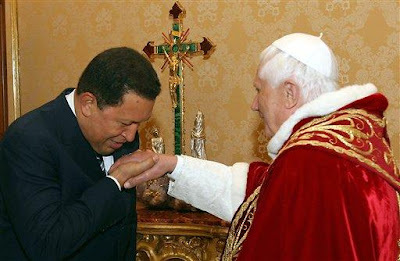 Admired by the Colombian guerrilla after his coup attempt in 1992, the then lieutenant colonel Hugo Chávez Frías received financial support by the Colombian Revolutionary Armed Forces (FARC) for his projects after his capture that year. This mostly explains the relationship and "debt" between the parties, as revealed by a paper of the International Institute for Strategic Studies (IISS) of the United Kingdom. 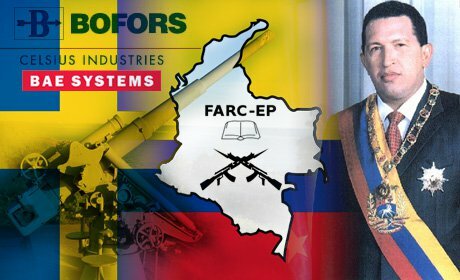 With data retrieved from the computers of slain leader of the Colombian Revolutionary Armed Forces (FARC) Raúl Reyes, the IISS revealed for the first time that the guerrilla group directly provided USD 150,000 to the MBR-200, the grouping founded by Chávez and used for the failed coup d'état against the then Venezuelan President Carlos Andrés Pérez. The gift was "for purchase of radiophones and other required materials." 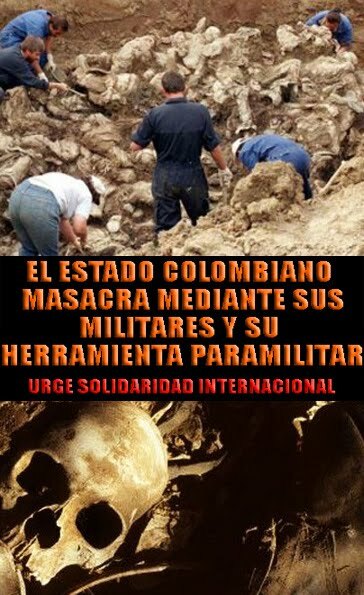 It's a guerrilla group calling itself Marxist-Leninist tendency in Colombia. 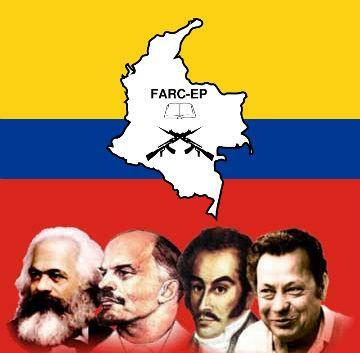 The FARC is considered a terrorist organization by 34 countries (Colombia, Chile, Peru, United States, Canada, New Zealand and the European Union. However, governments of other Latin American countries like Ecuador (President Correa), Brazil (Lula) , Argentina (Cristina Fernandez presidency) do not apply this rating. 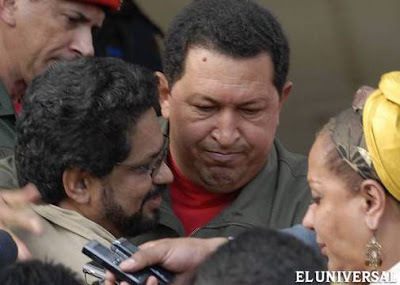 the Government of Venezuela under Hugo Chavez, has called for a status granted to the FARC belligerent group and does not consider them terrorists. 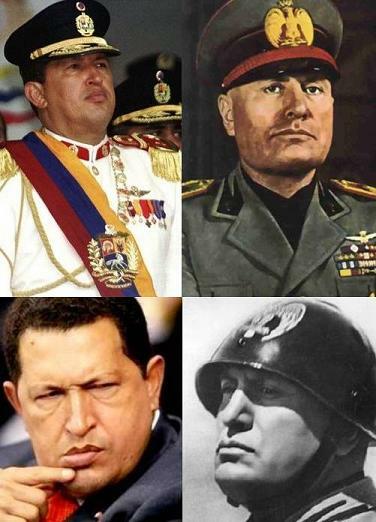 Their actions include drug trafficking, guerrilla warfare and terrorist techniques, such as the implementation of land mines, the killing of civilians, government officials, policemen, kidnapping for ransom or for political purposes, bombing or gas cylinders , and acts that have caused forced displacement of civilians. According to a report by Human Rights Watch, about 20-30% are under 18, many forcibly conscripted. 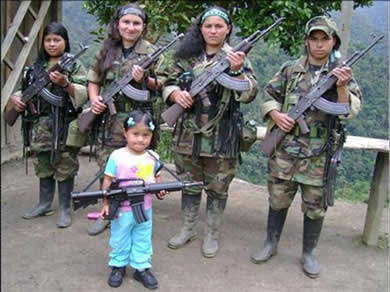 An estimated 4 to 6 thousand children in armed groups fighting the FARC and ELN. 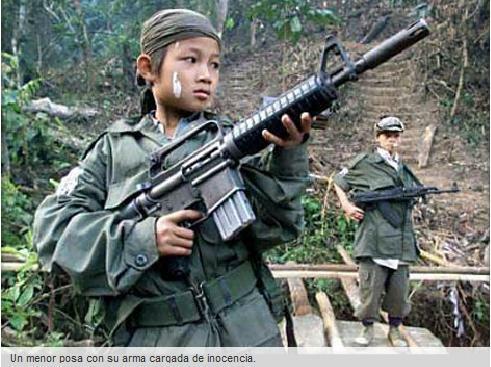 Many recruited from six years FARC sent child (a) sa war 6.210 of them have died in combat. Where is the Life! is the expression of anguish child who the FARC killed his father after 14 years kidnapped in the jungle.